Do you ever stumble across a meal that is simple enough to make on busy days and tasty enough that you wouldn’t get sick of it if you had to eat it every day? That’s what happened to me with this meal. It all started with a sweet potato, or rather, a bunch of sweet potatoes and a scroll through Pinterest. I do the bulk of my grocery shopping at a small local health foods market where the majority of the items in the store are fruits and vegetables. You won’t find aisle after aisle of prepackaged or canned goods. Instead, the entire middle of the store is dedicated to fresh food. On average, I buy 10 – 12 sweet potatoes a week. There’s just the two of us that I’m cooking for, but both Charleen and I eat a sweet potato nearly every day. The dogs (and cats) like them too, so I always make enough to share with them as well. As anyone who has eaten the same food every day can attest, it has the potential to become a bit monotonous. 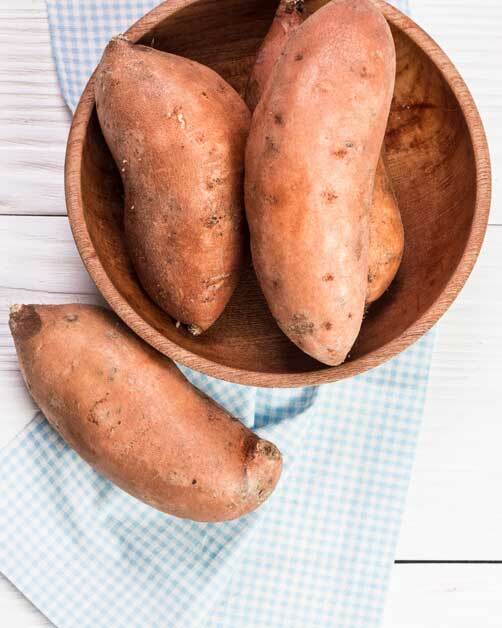 I love sweet potatoes—I love them baked, fried, spiralized, or steamed—I love them, but I’m always looking out for a new way to eat them. I was scrolling through Pinterest one night, searching for creative budget-friendly vegan sweet potato recipes and I found recipe after recipe for stuffed sweet potatoes. 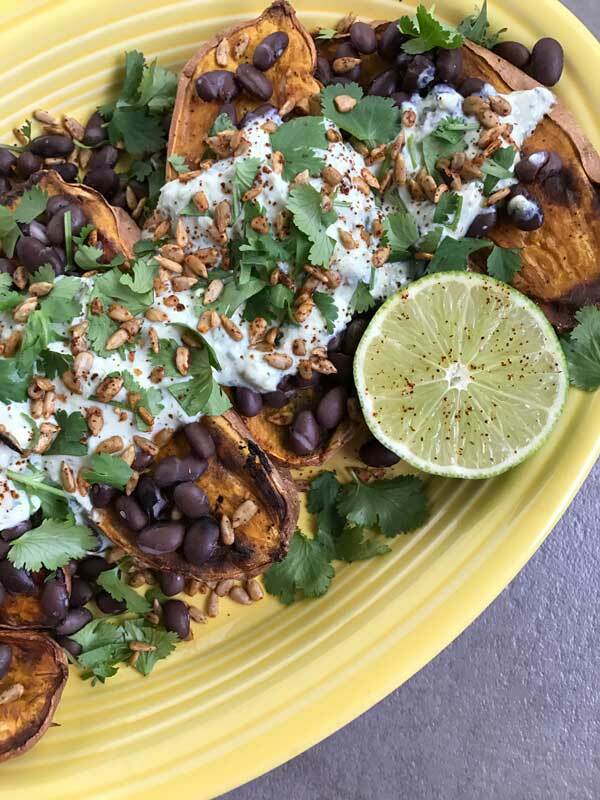 From beans to salads, to seeds or seitan, sweet potatoes can be stuffed with almost anything you can imagine and topped with a drizzle of your favorite sauce. 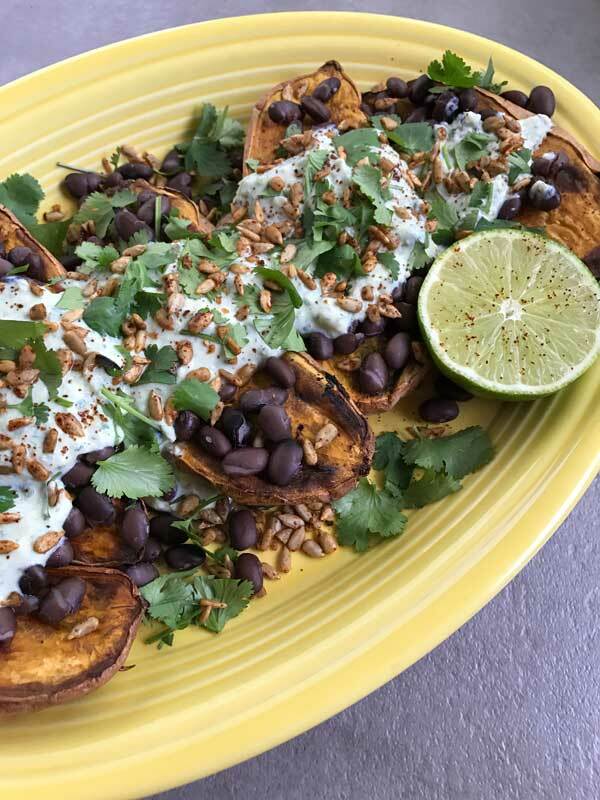 I wanted to put together a recipe for a simple baked sweet potato stuffed using versatile ingredients that I could batch cook and use throughout the week. It was a tall order, but I came upon a tasty plan. On Sundays, I put a few sweet potatoes into the oven and bake them until they’re soft and delicious. I don’t add anything to them, it’s just sweet potatoes roasted for an hour or so in a 400-degree oven. It’s easy and saves me time during the week when I really don’t have much time to spare. I use the same batch cooking technique with sauces or snacks that I want to make for use during the week. All of the ingredients I used in these stuffed sweet potatoes can be batch cooked and made well in advance. That’s my favorite kind of food! Before I get to the recipe, I have a confession: Calling this a recipe is a bit generous. It’s more like a delicious meal suggestion. It combines a few of my favorite toppings that you make ahead of time, helping weeknight (or weekend, no judging here) meals come together in a snap. Do you have a favorite stuffed sweet potato recipe? Share it in the comments! And if you decide to make these (impossibly delicious) stuffed sweet potatoes, show me! Tweet me at @yourdailyvegan or tag me on Instagram using the hashtag #yourdailyvegan! A simple spicy stuffed sweet potato recipe perfect for busy weeknight meals. Using a fork, pierce sweet potato skin a few times. Place on baking sheet lined with parchment paper. Bake until tender, 45 minutes to 1 hour. Set aside. Rough chop the cilantro and prepare the Cilantro-Lime Crema and the Chili Lime Sunflower Seeds. Drain and rinse black beans. Place them in a saucepan on low heat. Add juice from the lime, garlic, chili powder, salt and pepper to the beans. Stir to combine. Gently heat until warm. Once the sweet potatoes have cooled, slice in half lengthwise. If you want, place halves back in the oven to get a little crispy. If not, that's fine too. 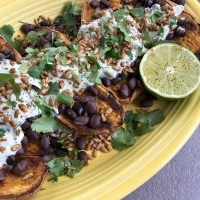 Top each half with a layer of black beans, Cilantro-Lime Crema, Chili-Spiced Sunflower Seeds and fresh cilantro. Serve with lime wedges. I love sweet potato and chilli spice. What a perfect combination, this is just what I am looking for. This will be tonights dinner. Thank you. It’s a delicious sweet potato vegan recipe, I will try it. 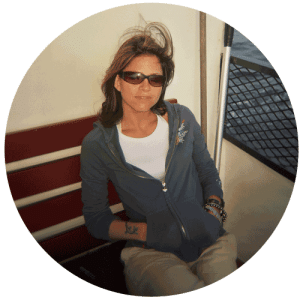 Congratulation for your awesome website KD, excellent content, very helpful for vegans.